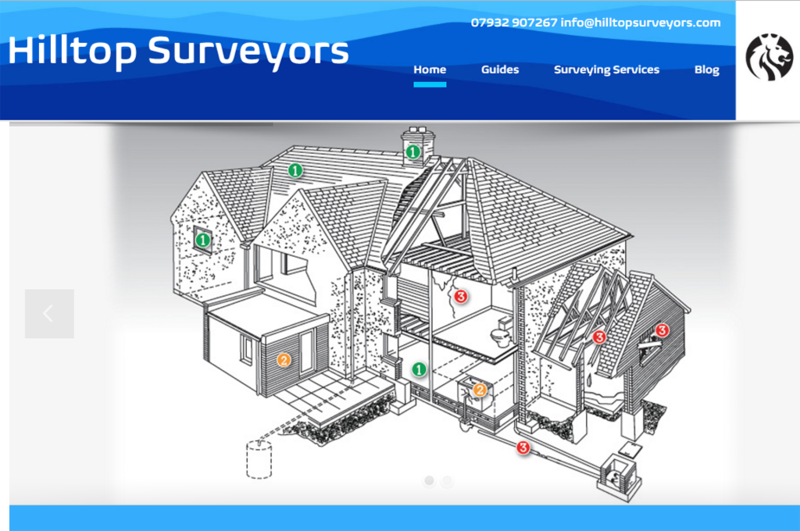 Hilltop Surveyors is another example of a business that came to us seeking help with their logo, website and branding. Working in the property industry, Hilltop Surveyors specialize in providing homebuyers reports for properties in Greater London. We translated the professional and knowledgeable characteristics of the company using bold blue tones and a simple yet solid logo for this reliable brand. We built the Hilltop Surveyors website around this style, with a large homepage image of an architectural cross-section of a house. 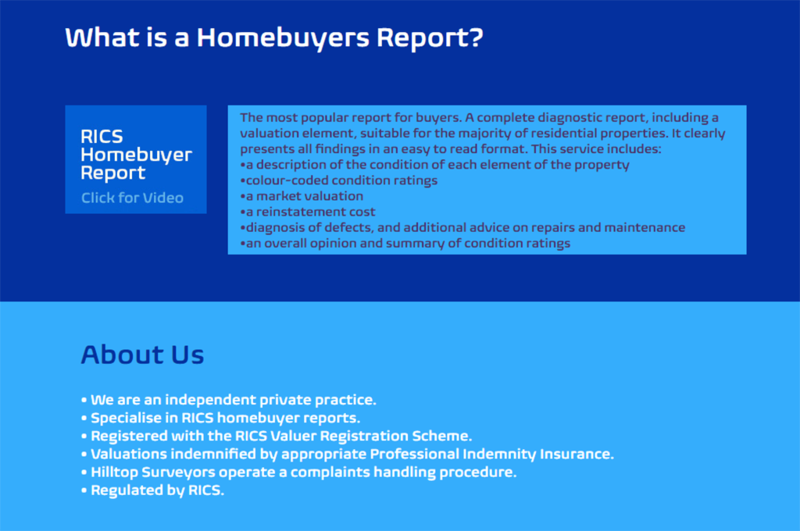 Throughout the website, users also have access to various pdf downloads of relevant information for prospective homebuyers and clients. From the branding and website design work, we created business cards and an easy-edit report cover page.